Will someone ask Mom why the runt of the litter has to do all the heavy lifting? When I log on, she's never around. Had a lot of fun shooting this with my sis. She fit in the tub perfectly haha! My Sandrine took this pic of me tonight at a live music event. Bakaboo at Lutz, with Orwar Lighting ………. I always figured Governor Linden looked something like this: [Moderator Edit: Inflammatory image removed] Governor Linden is best governor, and supreme linden. Dearest caretaker of all the lands (that people are abandoning...). Heading down to the dance floor at Klub Metropolis! Or checking out the offerings at the all-you-can-eat lunch buffet. One of those. It occurred to me this dress would make a great Alice dress. @BelindaN The slider that the red arrow is pointing at is also very useful when working with shadows, This changes the position of the "Sun", which in turn changes the position of the shadow, so you can make the shadow fall right where you want it (see above, that shadow didn't just happen to fall there), the yellow slideer above it raises and lowers the light source also very useful. Is SL's Player Base Declining? can't there be a at least 5 yr ban on this subject? .. I always sort of chuckle at the ones that say "My inworld name is <same-name-as-forum-account>". I mean, you have to actually log in to the forums with your SL account name and even though your avatar name is not obvious on the page when creating a new topic, if anyone spent even a second looking at existing forum posts, they would see that every post has the avatar name right next to it. So, anyway, if you want to look me up inworld and discuss this further, my name there is LittleMe Jewell. How can you be "off the grid" and "make a living at SL"? Beautifully detailed skin! Where is it from? "Oh Honey I´m SO sorry I do have these rezzing problems recently... I can see myself just fine though maybe you got those problems too?" I can certainly see the family resemblance. I can have a chat with your mum, but last time I criticized her mothering skills, she sprayed me with ink. I’ve legitimately been getting angry with these posts lately. At first it was amusement, followed by frustration, followed by annoyance, and now I just want to put dirty socks on all their noses. ... Srsly? I never would have guessed your name, friend! If you really wanted assistance, you’d give me your address. 😛 I have so many fruitcakes to deliver! Finally I have the first proper picture of me and Salty as she now is. I'll do some work and hope to make some good pictures soon!! Hi. My name is Laskya. I'm Scylla's "alt." (/me rolls eyes, and points to her forum content count) I have a system body, rigged mesh clothing that dates from ca. 2014, and (at least) relatively contemporary mesh hair. I don't know much about where I am in this picture, but it more or less suits my current mood. Especially the pool of blood on the floor (just out of camera shot: this is a family forum, after all.) I look like crap, in large measure because I have been terribly neglected by my keyboardist, who should be seriously ashamed of herself. Please have a word with her. Thank you. Squints eyes and furrows my brow, peering at the settings. Then to Angelina. Then back to the settings. What kind of arbitrary draw distance is that?! Have a fantastic Thursday everyone! Peace! We already have the tech for this. Merchants can set their goods to no copy/yes transfer if they choose. It used to be pretty common a decade ago. Many of us find that the advantages of copy/no trans outweigh the advantages of no copy/trans, however, and merchants have followed suit. Anyone with land can set up no copy/trans items for sale and list it in search too. There used to be more of this as well, years ago. Now it's largely limited to gachas. If you want to be able to sell things on after your interest has passed, only buy items with no copy/yes trans permissions. This will limit your choices to gachas (which also have an active resale market) and merchants who sell with those perms or can be persuaded to. In other words, the 'fix' is social not technical. And you'll be fighting an uphill battle against the advantages of and preferences for copy/no trans. Certainly better than the sunburn you might have given me. i gave you free, fashionable hilites for your hair, yet you make it sound like a bad thing. Pffft! Gov Linden is most often Patch Linden from his own admission. Dave23, you have the perfect forum pic for you! What, ANOTHER politics thread? I'll just go off topic then and actually answer the OP's question. 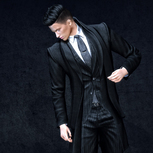 Governor Linden is the Second Life avatar account used by LL to own most of the Mainland it holds. The Governor is the owner of the majority of the roads, waterways, and public spaces of SL. Interestingly, Governor Linden is not the only governor in SL. The estate owner of Caledon, Desmond Shang, is known to Caledon's residents as "the Guv'nah". Do You Miss Anything Purged from the MP? I know at least one passed away designer on MP... I have some of her stuff and like it a lot... while I don't want anything right now I would be supersad to see her last memory - and the ability for me to get her stuff - purged from SL's marketplace. I have also wondered what they are thinking. Similarly, people sometimes send me notecards with my name as the title. I already know my name. It provides insight into why some people find SL impossibly confusing. These are often the same people who have no idea what a forum is or how to write a post or start a thread. Oh, come on. At least give us a clue!